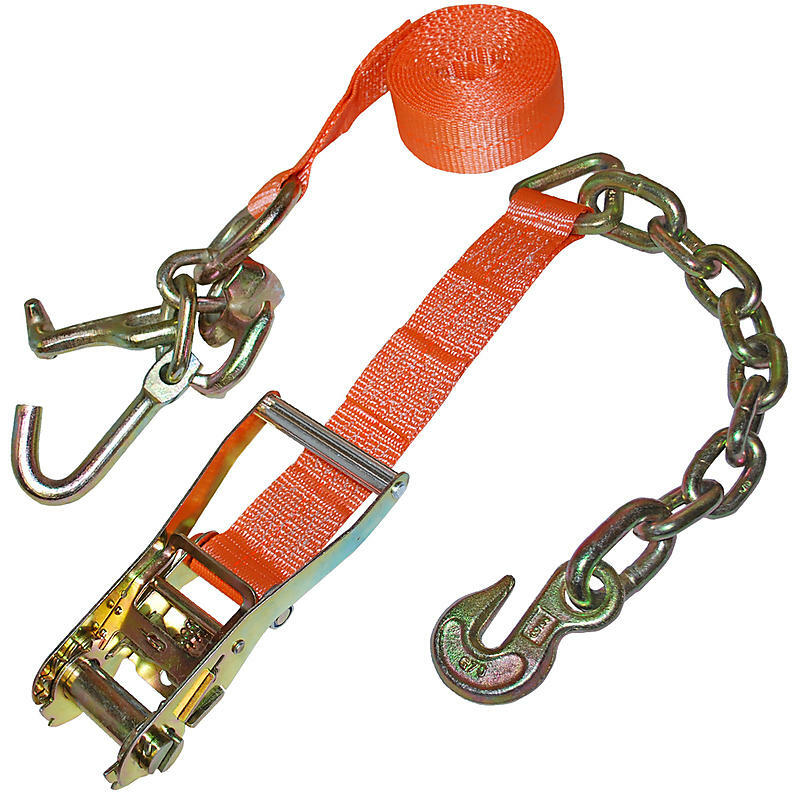 This car tie down ratchet strap has a RTJ Cluster Hook on one end, and Chain and a 3/8” Clevis Grab Hook on the other. RTJ Clusters are popular in the auto industry. R Hook, T Hook, and J Hook are all on one ring so that you can use any of them for the best tie down. The R Hook is for Ford, T Hook for GM and Chysler, and the J Hook is for foreign cars.